Event date: 23 August 2014 (Saturday), held at Boulevard Shopping Mall, Kuching, Sarawak. Winners of each category: Alrzrin, Wilfred, Jeremiah, and Louis Glass. Middle: Dato’ Wee Hong Seng. 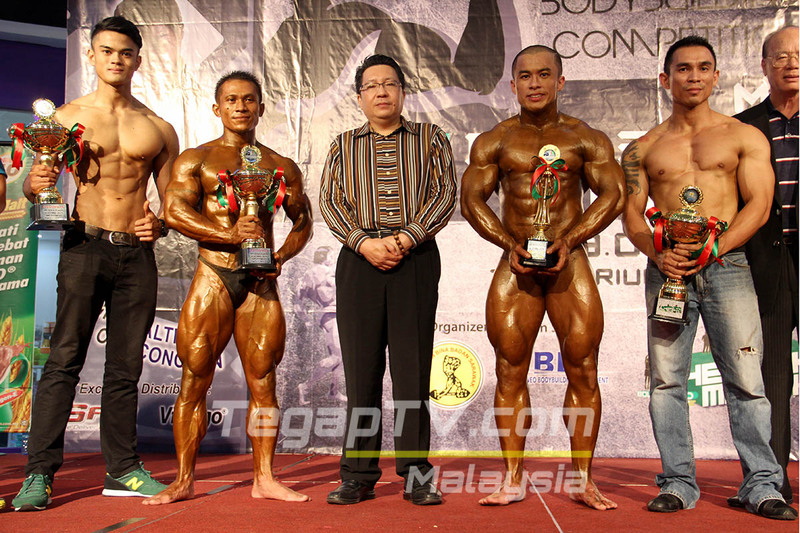 Prizes were presented by the President of Sarawak Body Building Association (SBBA), Dato’ Wee Hong Seng. Congratulations to all winners!